Travelers to Belize will find themselves venturing off the beaten path and immersed in natural history, active adventures and unforgettable experiences. And some of the best adventures are easily organized from our favorite resort – Ka’ana Belize. This is an upscale outpost for exploring, perfectly located in the midst of everything a Central American vacation could possibly offer. All adventure tours are run privately, never shared, and their guides are some of the best in the country. You’ll find that every adventure is a curated experience that is authentically Belize. 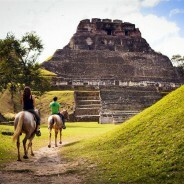 The following are epic adventures you can take while staying at Ka’ana Belize. It’s hard not to harbor an insane jealously for the likes of Pierce Brosnan or Angelina Jolie. And not because they’re stupidly good looking or married to Brad Pitt (though that too). As adventure travelers who traverse the globe in search of the most intense thrills on earth, we’re jealous of the Goldeneye Bungee Jump over Contra Dam in Switzerland; of the Tomb Raider scene where Lara Croft leaps from the 84th floor of the under-construction Two International Finance Centre building in Hong Kong wearing a wingsuit. Though while we may fantasize about action films, it’s not these actors we’re jealous of. It’s their stuntmen. 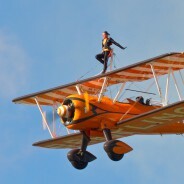 So, to embrace your inner stuntman, the following are the most extreme activities around the world; the most thrilling and frightening experience we can have as human beings! Though you can actually complete all of these … there’s no such thing as a green screen! Belize has a way of bringing out the best parts of you. You morph into “the you” you’ve always imagined yourself to be. The most adventurous you. The daredevil version of you. Mountainous jungles bring out the hiker in you, and the inner zipliner. There are reefs for your inner snorkeler and diver. Ancient Mayan Ruins and Caves for your inner explorer. Waterfalls for your inner rappeller. And, at the end of each day’s adventures, Rhum Bars on the beach will definitely bring you out to kick back in a beach hammock and end the day with a delicious pina colada. Whatever your taste in recreation – or perhaps just relaxation? 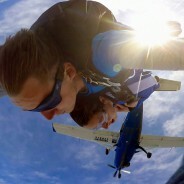 Belize is a paradise for all your needs, so, we guarantee there will be something for you to do – or not do…. Active travelers rejoice! I’ve put together 5 of the most epic outdoor adventures being offered in Belize. An because you definitely need a decent outpost for exploring, I’ve also recommended some fantastic accommodations at the end.